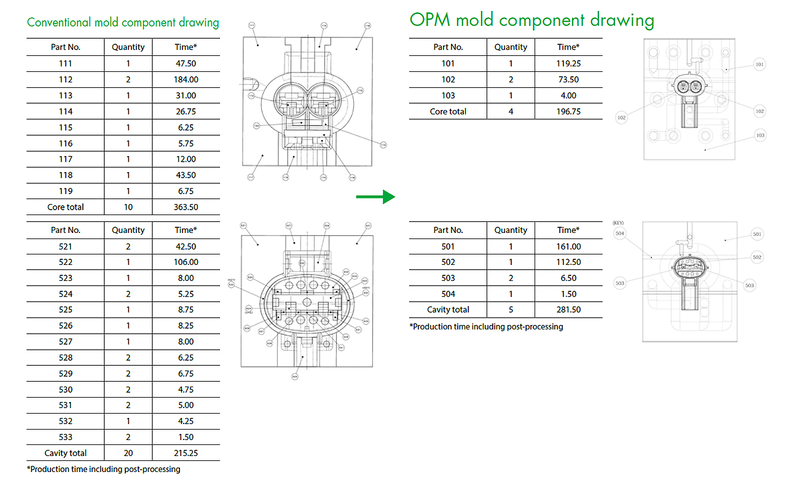 The revolutionary performance of Sodick’s OPM Series of precision metal 3D printers enables manufacturing of molds (OPM molds) with built-in three-dimensional cooling channels, fundamentally changing how molds for plastic products are created. The OPM Series lineup has been expanded by adding model OPM350L to the previously available OPM250L model. 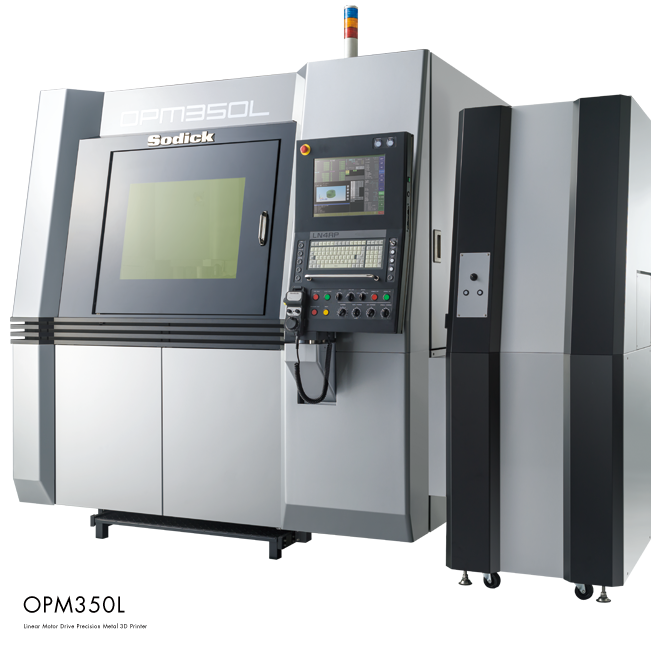 OPM350L supports larger milling sizes, and has been designed for faster milling. It has a new parallel mode function,extended continuous operation function, in-process compensation function, and CNC unit. 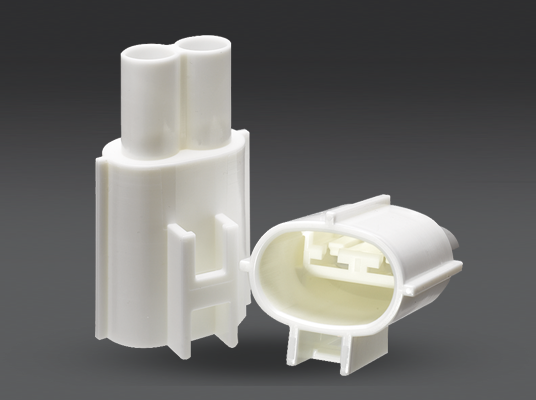 The OPM Series is creating a new era in the manufacture of molds for plastic products. 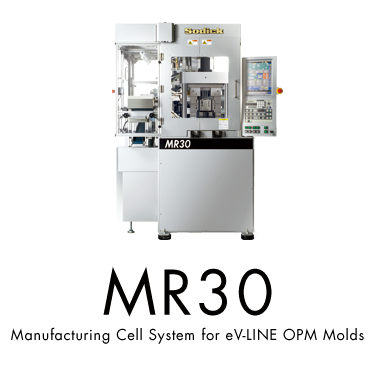 Using the OPM Series with the new MR30 manufacturing cell system for eV-LINE OPM molds enables a comprehensive range of outstanding labor-saving benefits. 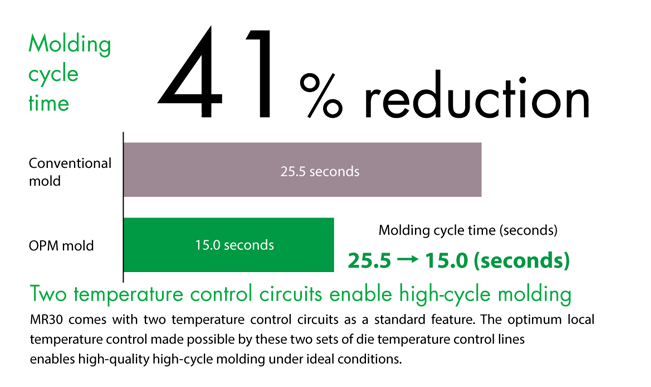 These benefits include maximizing the capabilities of molds with built-in three-dimensional cooling channels, improving productivity for molded products designed for small-lot/high-variety production molding, shortening lead times, and greatly reducing costs. 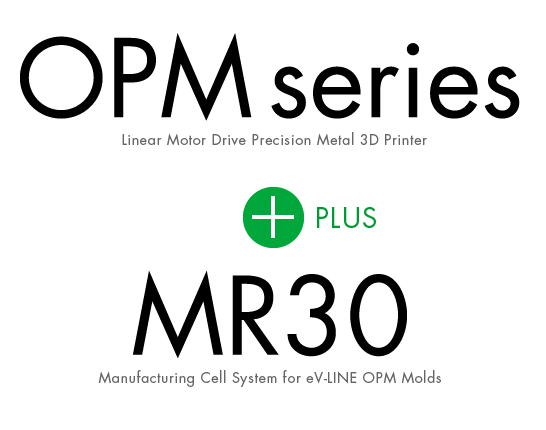 Reaffirming our founders’ commitment to "Creating What We Cannot Find in the World," the Sodick Group is providing the latest all-in-one solutions by drawing on proprietary elemental technologies for all production processes. 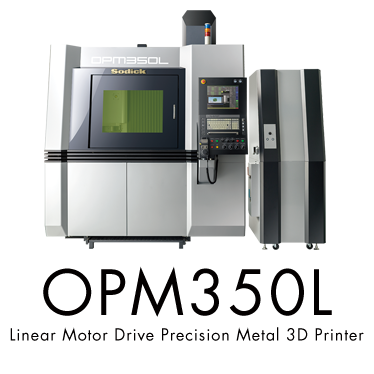 The OPM Series models are fully automated metal 3D printers that attain a melting ratio of 99.9%. Metallic powder is spread uniformly (re-coating process), melted/solidified by a series of ten laser emissions, and then subjected to a precision cutting process with high-speed milling. 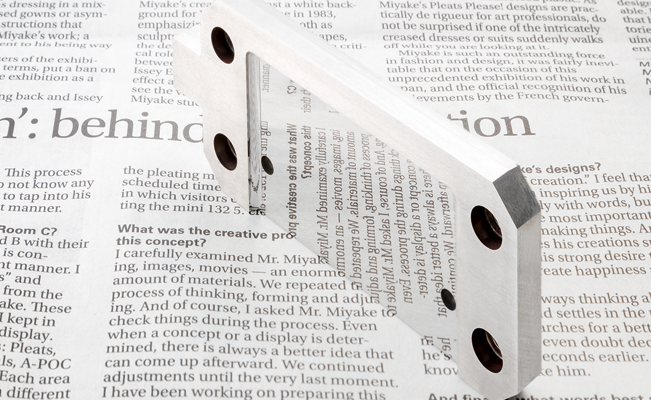 These operations are repeated to create a 3D printed (layered) workpiece. The laser oscillator that the OPM Series models use to melt/solidify the metallic powder is a fiber laser with a 500 W output. The main spindle has a 45,000 rpm spindle that synergizes with Sodick’s original linear motor to provide high-speed, high-precision metal 3D printing. An automatic tool changer (ATC) and automatic tool length measuring device are installed to allow continuous automated operation over a long period of time. 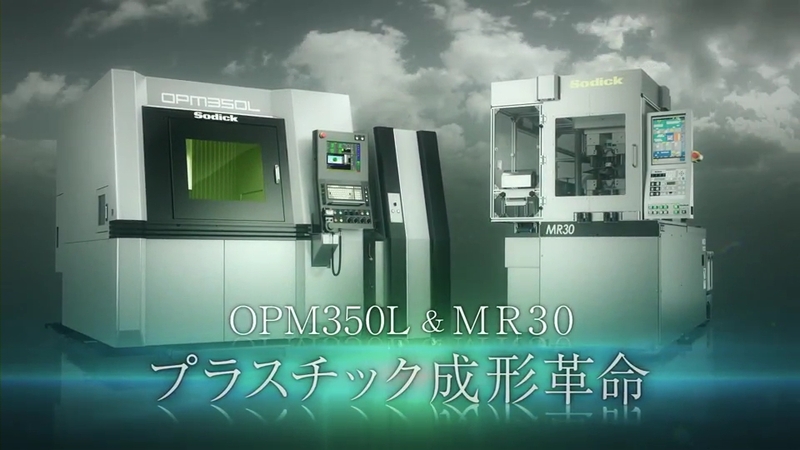 OPM350L has maximum milling dimensions of 350 × 350 × 350 mm (W × D × H), and a maximum loading weight of 300 kg. 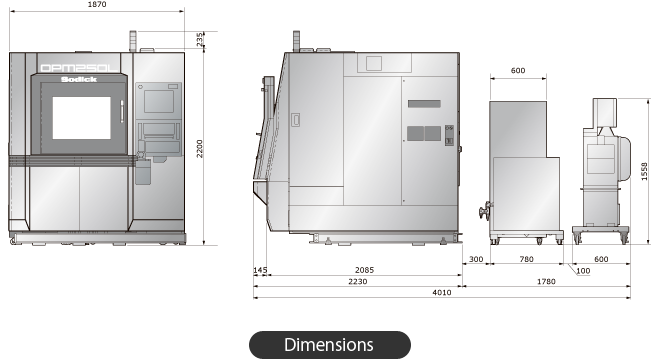 It can print large workpieces with 2.7 times greater volume and 3 times greater weight than OPM250L. A retractable footboard and large aperture are provided as standard features, enabling the same ease of operation as OPM250L. 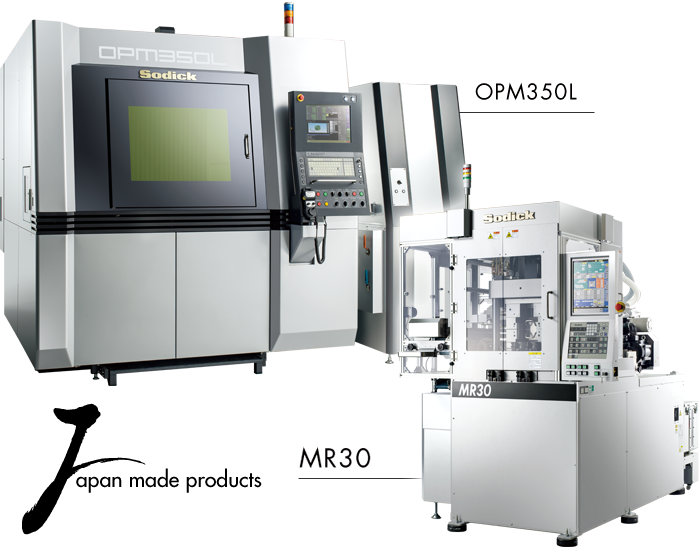 The OPM Series comes with a parallel mode function, enabling simultaneous milling of multiple locations by controlling a single laser at high speed. A major improvement in fume collection capability also enables high-speed milling while maintaining high quality. 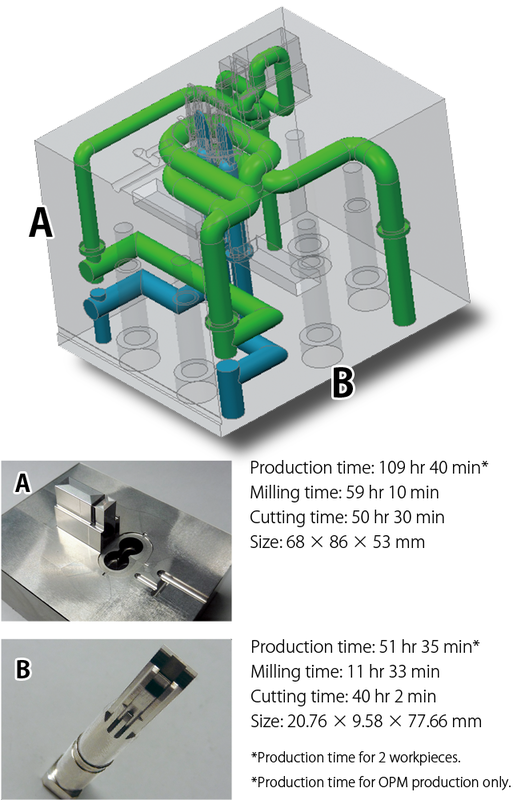 Cavities and cores milled in the parallel mode can be created with built-in three-dimensional cooling channels, effective for high-cycle molding. 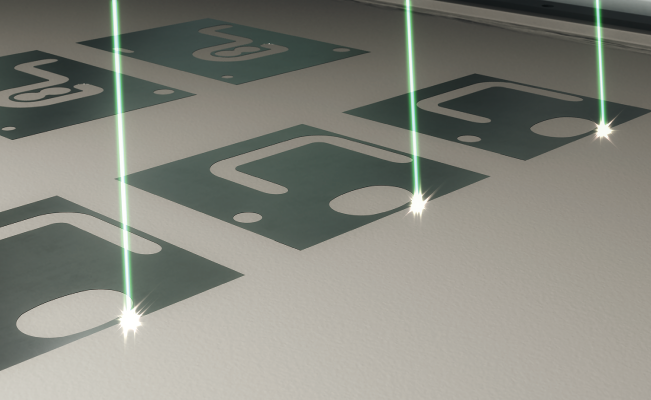 The newly-developed in-process compensation function periodically measures and compensates the relative positions of the laser axis and milling axis while milling. 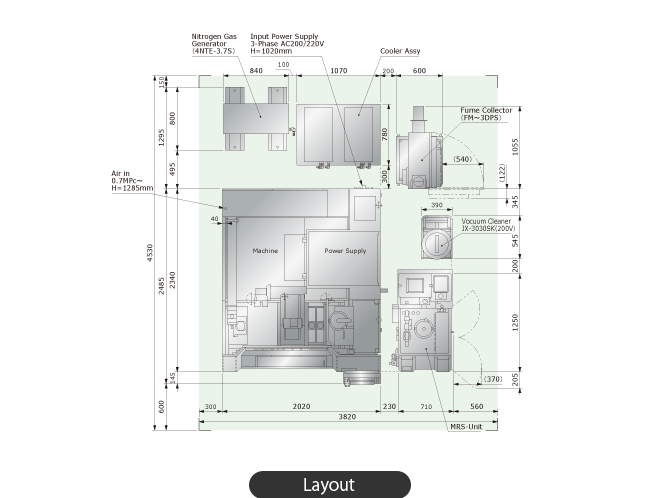 It minimizes the cutting allowance, and reduces the milling time and cutting time. 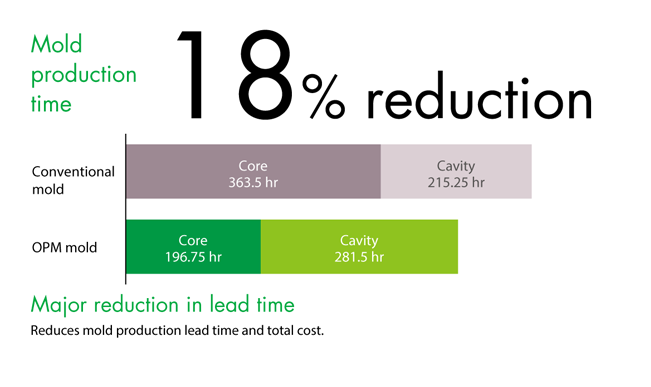 It also optimizes the amount of metallic powder used for milling, effective for saving energy and enabling greener manufacturing and longer maintenance cycles. 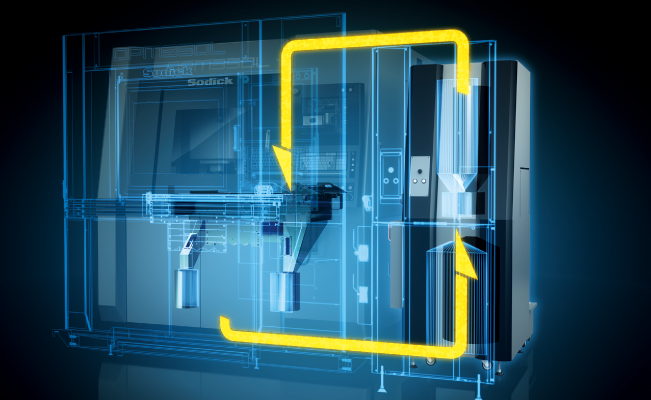 Sodick has developed an optional MRS (Material Recovery System) unit to enable fully-automated metal 3D milling of larger workpieces. Excess material ejected during the re-coating process is automatically suctioned up and separated into cutting chips and powder. 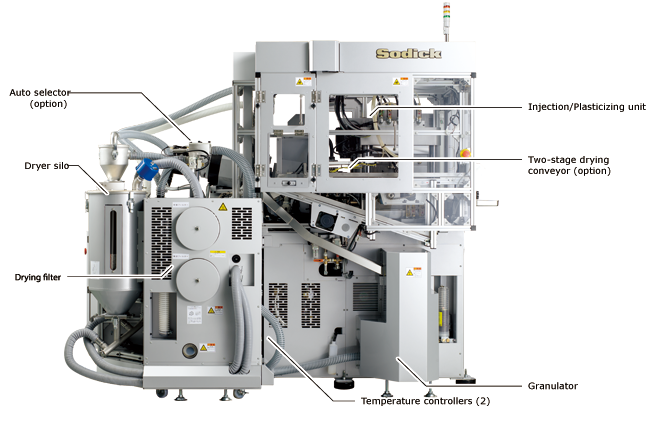 Screened material powder is automatically transferred to the machine, so the material powder is circulated endlessly and thus making long-term continuous automated operation possible. 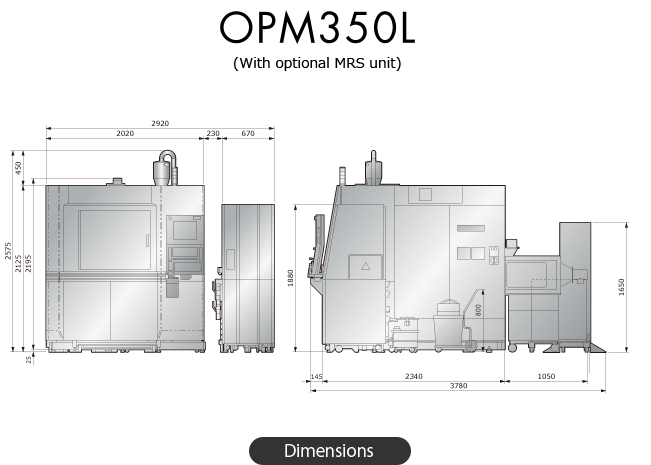 Sodick’s manufacturing cell system for eV-LINE OPM molds was developed to maximize the performance of molds (OPM molds) with built-in three-dimensional cooling channels created by OPM Series precision metal 3D printers. 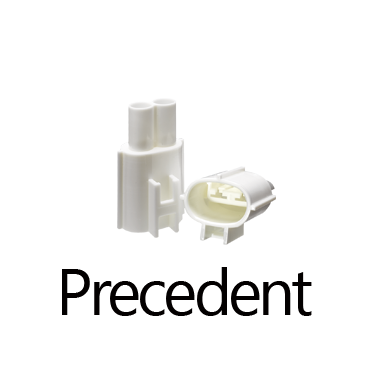 The OPM mold is incorporated into a cassette, greatly reducing mold replacement time. 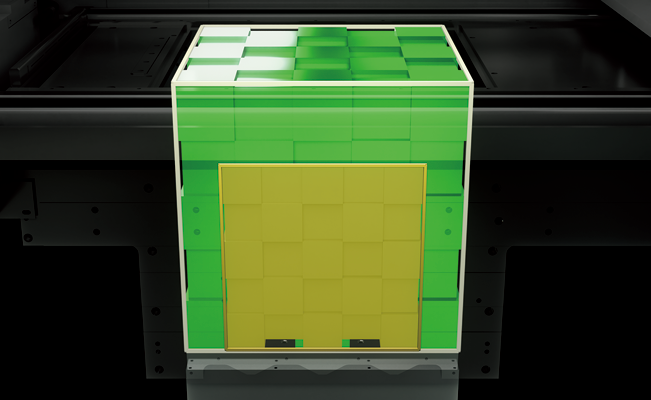 The system also includes all the functions needed for molding, creating an equipment environment made up of compact cell units. 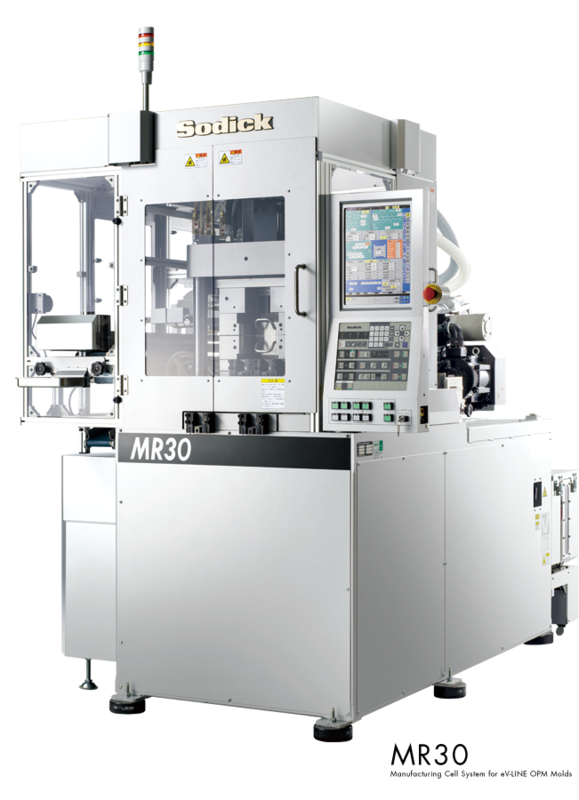 Sodick’s MR30 manufacturing cell system has an all-in-one structure consisting of an eV-LINE injection molding unit combined with all the peripheral equipment needed for injection molding. 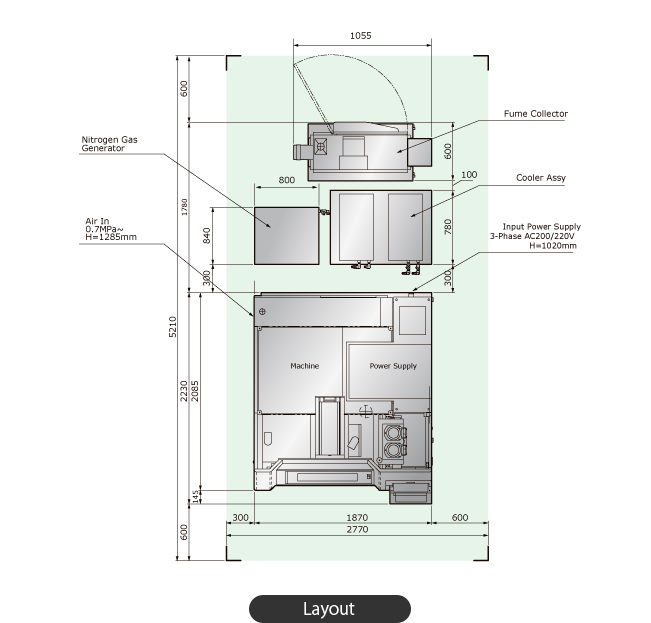 It has a compact design and low height, and saves space and energy. After the resin pellets (raw material) have been supplied to the tank, all processes (resin preheating, mold temperature control, injection molding, and product removal) can be done fully automatically. 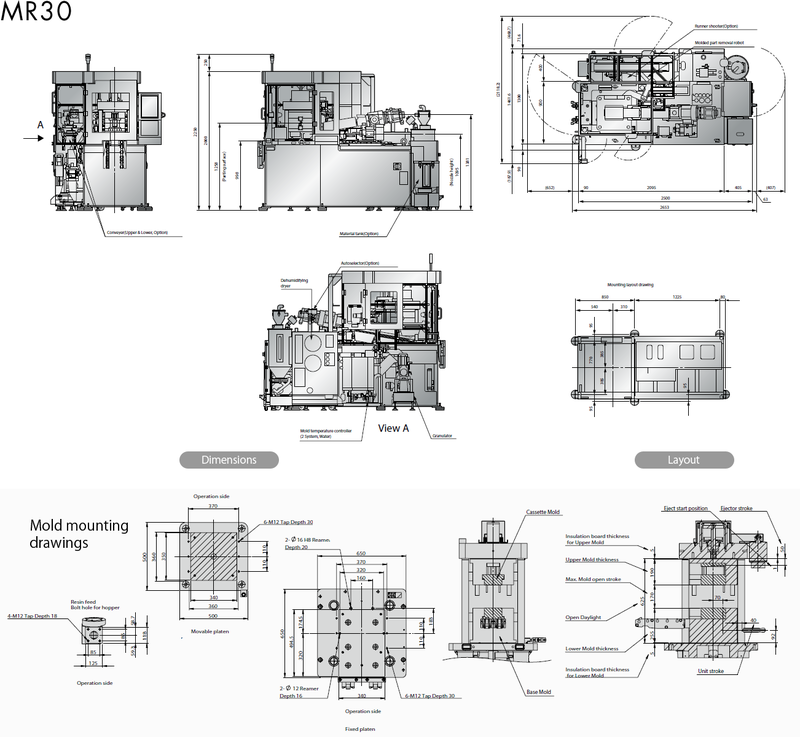 All the peripheral equipment settings can be made from the MR30 operation panel, greatly improving work efficiency. MR30 comes with two temperature control circuits as a standard feature. 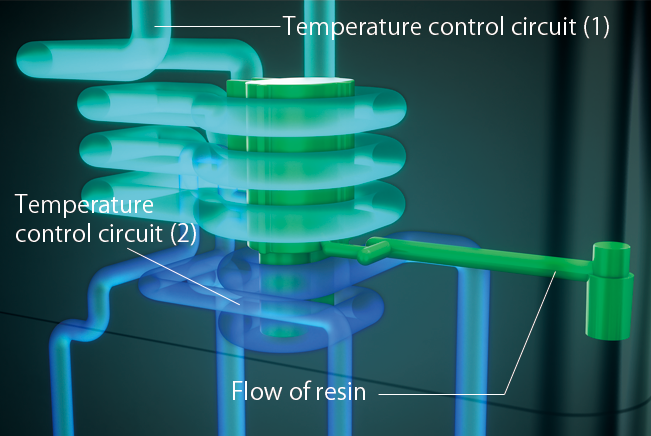 They enable maximum use of the local cooling circuits created by the three-dimensional cooling channels built into OPM molds, minimizing cooling time. They are effective for high-speed injection molding of ultra-thin products or precision molding of miniature products. 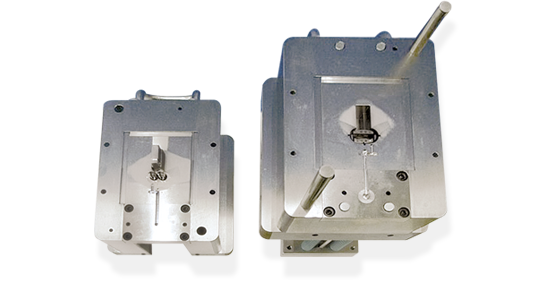 The cassette mold can be used to support miniaturized/precision injection molding for small-lot/high-variety production. 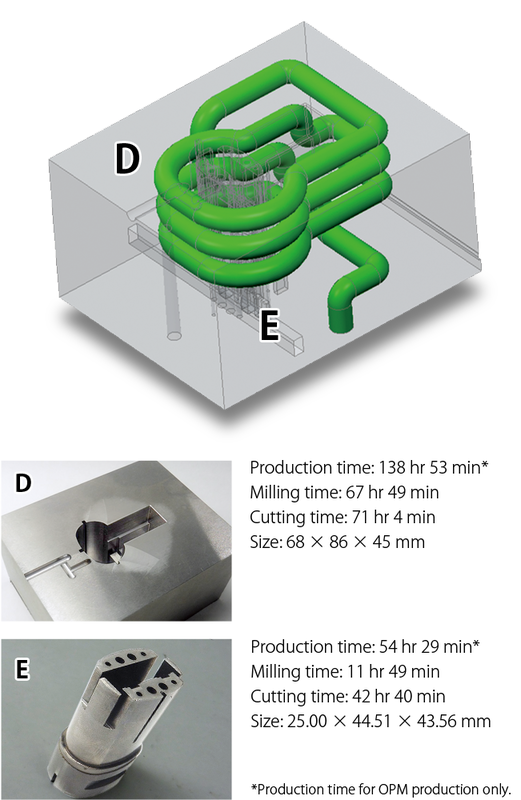 Inserting the OPM mold into the cassette mold is the only setup work needed, enabling optimized waste-free production matched to the production schedule. 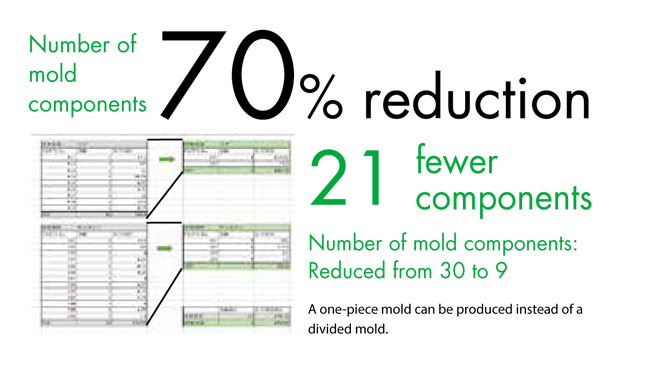 The divided components of conventional molds can now be produced as one-piece units. 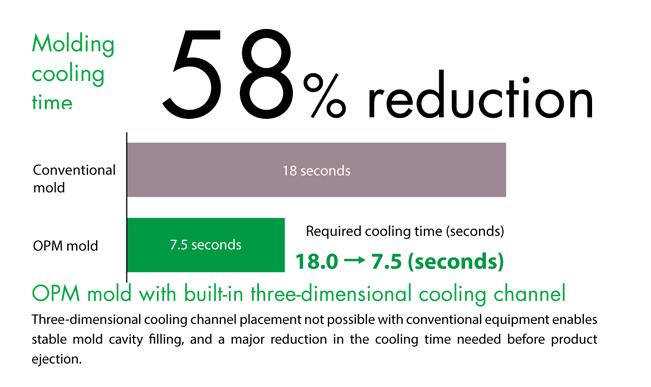 Cooling channel positioning can also be optimized in ways not possible with conventional equipment. 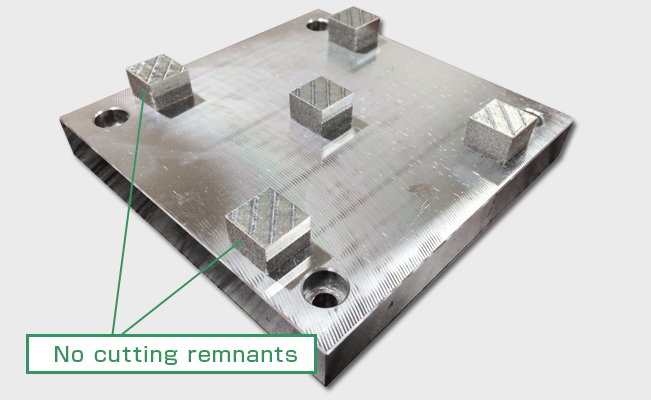 These benefits optimize the molten resin material flow, while reducing cooling time and improving stability during mold release. *Metallic powder used with OPM350L. For details, contact the sales department. * Only Sodick-specified metallic powder materials can be used. * Some metallic powder materials require the use of a Sodick-recommended base plate. * Use of the OPM Ultra 1 or OPM Stainless 316/630 metallic powder materials requires a work environment conforming to health and safety laws (in Japan, the Ordinance on Prevention of Hazards Due to Specified Chemical Substances of the Safety and Health Law).